How to prevent virtual machine from suspending? After 5 minutes after log off from published virtual desktop, virtual machine to goes to suspend mode. How to prevent this from happening? 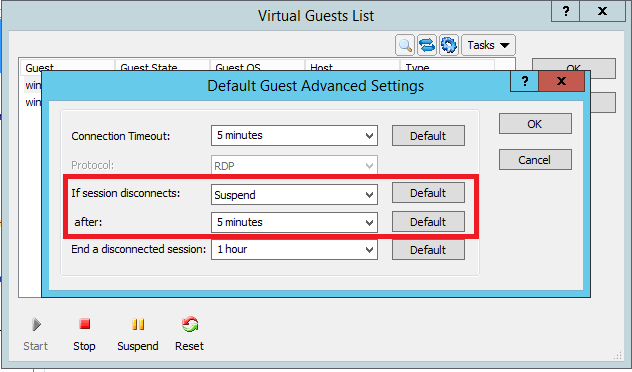 Default connection timeout set for guest. 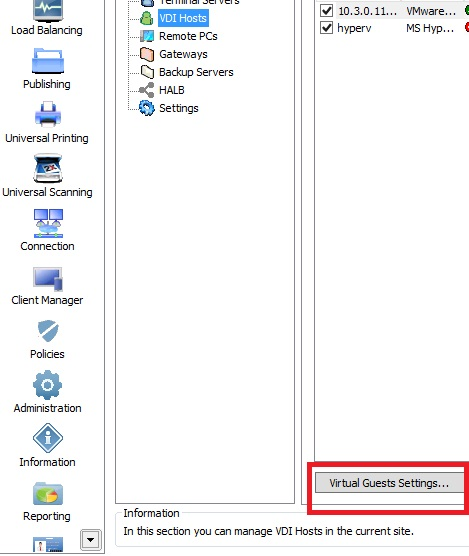 Go to RAS Console > Farm > VDI Hosts > Virtual Guests Settings. Expand and change the required options. 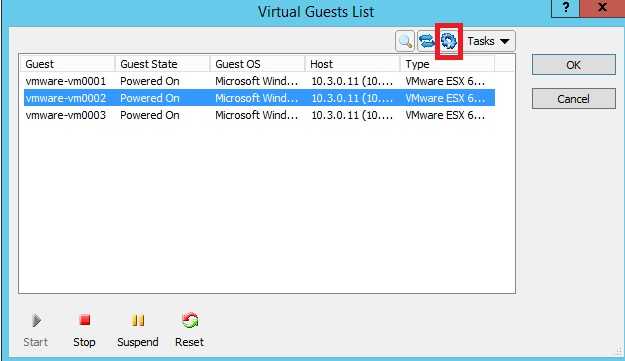 For example, to leave virtual machine in running state, click on If session disconnects field, select Keep Current State and Apply the settings.